The Florida Gators men's basketball team represents the University of Florida in the sport of basketball. The Gators compete in Division I of the National Collegiate Athletic Association (NCAA) Division I and the Southeastern Conference (SEC). 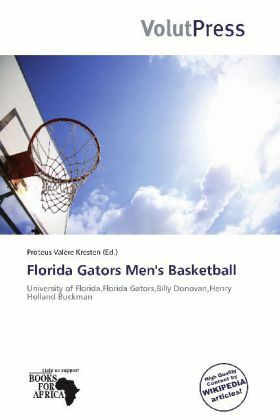 The Gators play their home games in the O'Connell Center on the university's Gainesville, Florida campus, and are currently led by head coach Billy Donovan.The Gators have won two national championships the 2006 NCAA Men's Division I Basketball Tournament and 2007 NCAA Men's Division I Basketball Tournament back-to-back, the first team since the 1991 1992 Duke Blue Devils to accomplish this feat, and the first and only team to ever win two NCAA championships with the same starting line-up.